• All base, body and air horns are stamped prior to disassembly to ensure units are reassembled with the proper “companion” parts. • Internal components such as jets and metering rods are identified to insure they stay with the original unit to maintain original flow characteristics. • All parts are cleaned and inspected. • Bases are resurfaced and throttle bushings installed to prevent excessive vacuum drop when installed. • All soft parts (gaskets, needle/seats, accelerator pumps) are replaced with new components. 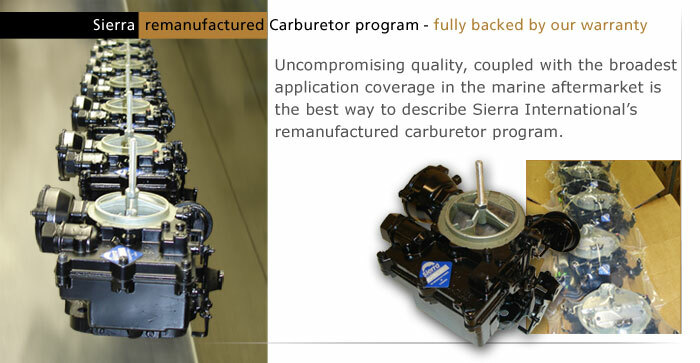 • Assemblers stamp all carburetors during reassembly to track and rectify production problems should they occur. • Choke vacuum breaks and covers are set to factory specifications. • Every carburetor is flow tested throughout all operating ranges to ensure factory performance out of the box.